Game developers must be having their best phase ever. Yesterday I had reported that Valve had released its Source SDK 2013 with support for the Oculus Rift virtual reality headsetfor Linux and today Unity has announced support for Xbox 360, Xbox One, Windows 8 and Windows Phone 8. This news comes just a month after Unity had made its engine available to developers for free. 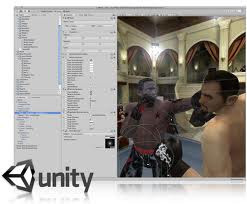 The move came from Microsoft and Unity at the Build 2013 DevCon and it was was announced that the highly versatile Unity 3D game engine will be supported on the Xbox One, Xbox 360, Windows 8 and Windows Phone 8. The release further adds that Unity will be developing new tools that will support Microsoft's next generation console and also actively be involved in the present ones. It will bring together marriage of two technologies with Unity 3D game engine on one side and multiplayer matchmaking, SmartGlass, Kinect gesture recognition and Microsoft's Azure cloud technology on the other. The bad new is that only those developers who are working with Microsoft Studios will get access to the developer tools for free. Which means that other developers will have to pay for the services. "I'm also happy to say that the Windows Store Pro publishing add-on will be free when released, You'll be able to port your games, ads, training and educational apps-any kind of Unity-authored content-to both the Windows Store Apps and Windows Phone 8 platforms with a Unity Pro 4 license." Will this birth of a new era in game developing, that only time will tell but the move is sure to elate the game developers community because of wide popularity of the game engine. Organ Trail: Director's Cut to turn-based RPG Knights of Pen & Paper, Surgeon Simulator 2013 are some of the games which have been developed using Unity. Will keep you posted on any further developments in the gaming development world.